Birmingham(JM) After a grueling two-week long search, Very Right Reverend Milton Paschal was relieved to announce that Big Gay Dean was unanimously elected by the Advent Search Committee to fill the post that will be vacated this Sunday by Very Reverend Paul H. M. Zahl. Big Gay Dean comes to Birmingham from Big Gay Deans Big Gay Seminary in Manchester, New Hampshire which he founded in 1991 and has led since then, watching it grow from a tiny seed to the great ivory tower of scholarship that it is today. 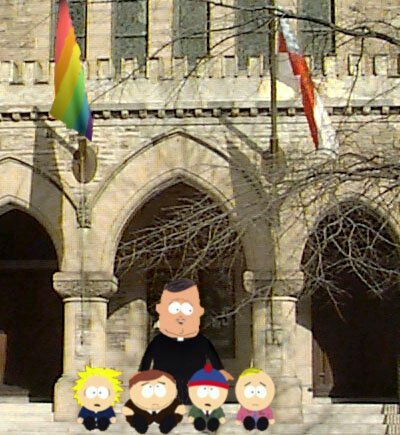 In leaving the Seminary, Big Gay Dean expressed regret that he will no longer be able to devote his full attention to serving the young men who will lead the church in the coming years, but said that he could not pass up the opportunity to take the reigns of such a dynamic and fabulous parish as the Church of the Advent. "This parish is known across the country for its firm stance in support of doctrine and tradition," said Big Gay Dean, "The Spirit of Anglicanism can be said to balance on three legs, like a milking stool. Doctrine and tradition, two of those three legs, are fundamental to the Episcopal fellowship, and the strength of those two towers here in Birmingham provides a rock-hard foundation to build from. What I want to do is to nurture the growth of that critical third leg, which is reason. When we achieve balance, then we reach nearer to the love of Christ." As Dean of the Advent, Big Gay Dean will be responsible for the overall leadership of the life of the Cathedral, including worship, education, mission and service to the wider community. In the post of Rector, for which the Bishop of Alabama has the patronage, Big Gay Dean will have pastoral oversight of the parish and the thriving Cathedral congregation. His predecessor, Rev. Zahl is leaving later this summer to become president and dean of Trinity Episcopal School for Ministry in Ambridge, Pa. In crafting the resolution of nomination for Big Gay Dean, the search committee praised the outgoing Dean for his passionate and erudite teaching and leadership while they also expressed excitement about a new era under Big Gay Deans leadership. "Were ready to fling the door open and leap out into a big, bright, fabulous future!" 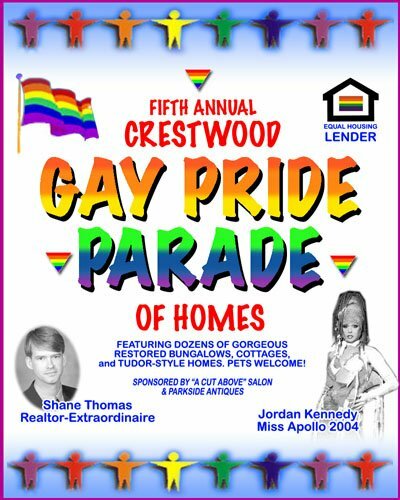 Crestwood() The bungalows were hoppin' and the streets were rockin' as the Crestwood Gay Pride Parade Of Homes made its annual run through the neighborhood this past weekend, leaving some to comment that the neighborhood was "so done" as they gazed longingly towards East Lake. Another rapid demographic shift may already be underway. The Parade of Homes has been a mainstay of the real estate industry in Birmingham for quite some time. But the Crestwood community has come together behind the idea to produce something extra-special. The parade attracts visitors not only from the decorator's showhouse set, but also from the vibrant gay community that is overflowing the Crestwood neighborhood. Not only a tour of homes, the Crestwood parade actually showcases gay pride in the streets while people visit the trendy open-bungalows that fill the area. During this year's parade, rainbow flags covered every porch, pole, and pergola while cross-dressers taught children face painting. A gimp stood behind one particularly charming camel-back, and beckoned people to join him inside, to view the custom designed basement. Some enjoyed the high-style interior, but others were less impressed. "I thought the leather wall paper was cute," said Mountain Brook resident Margo Jones, "but the curtained toilet in the living room was not very tasteful." As they say, there is no accounting for taste, but Crestwood residents certainly do try. Mtn. Brook() Fans of Courteney Cox-Arquette are reporting that her newborn baby girl does in fact have one head. Much speculation had been swirling around the head-count of Cox-Arquette's infant, but most of that was dispelled with today's announcement. "We can in fact say unequivocally that the Courteney's little girl does in fact have one head," said Tiffany Bostwick a spokesman for the Birmingham Courteney Cox Fan Club. "We never understood her choice of David [Arquette], but despite that the baby seems mostly normal." Due to some confusion, this announcement had to be followed up by the group later in the day. "As far as we can determine, the little girl has ONLY one head." The buzz over the newborn did settle down somewhat after these two press releases. However, as rabid fans continue to try and get a glimpse of the baby, more unofficial information is leaking out. One rumor concerning the child's ten fingers was addressed quickly by Miss Bostwick. "Although this is not an official announcement, we felt it necessary to give as much information as we have on the situation to prevent possibly false information from spreading. As of this time we have the understanding that the Cox-Arquette baby has ten fingers TOTAL. The doctor's report that was leaked out does not as yet include any information on the exact distribution of the digits." More information concerning the infant is expected to be released as it becomes available. An earlier report that the girl had been named Coco was also refuted by the fan club. 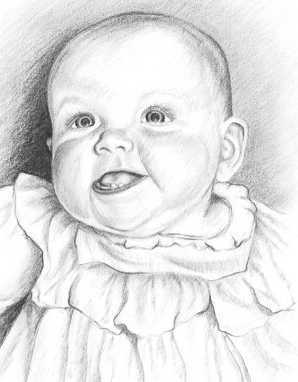 "I mean I have no idea what she named the baby," said Bostwick. "But come on. Coco! That's ridiculous."